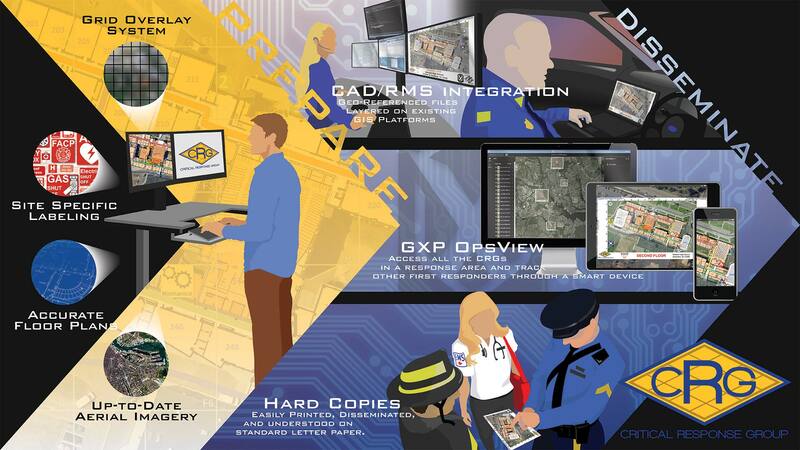 Collaborative Response Graphics – Critical Response Group, Inc. 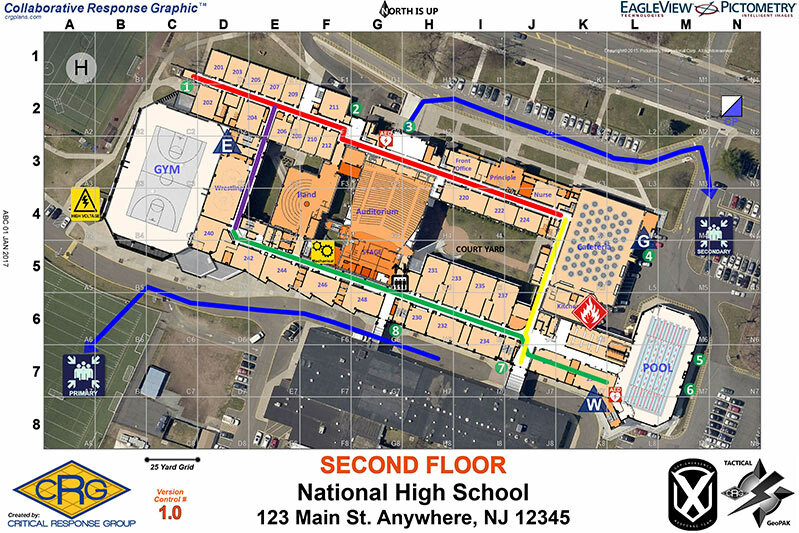 Built for each floor of a structure, Micro CRGs combine a gridded overlay, high resolution imagery, and floor plans together into one map. Micro CRGs include everything that a first responder needs to know to coordinate emergency response within a structure. This includes room labels, hallway names, external door/stairwell numbers, and key utility locations. 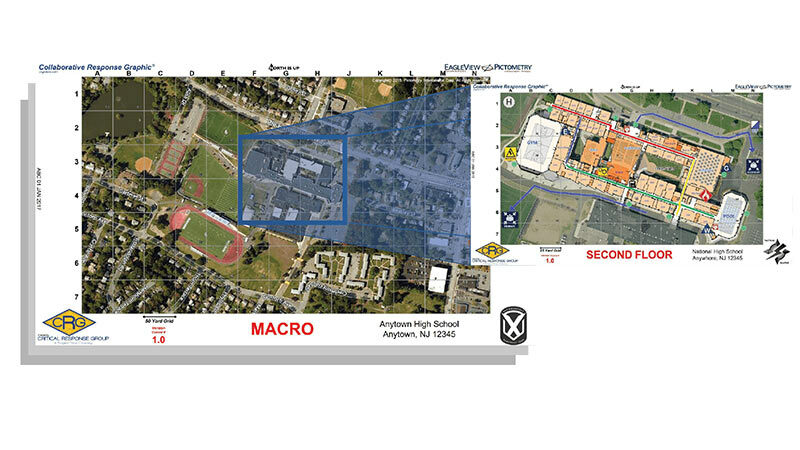 Built for a structure's campus and grounds, MACRO CRG's combine a gridded overlay, current overhead imagery with accurate labeling for parking areas, athletic fields, surrounding roads, and neighboring properties. 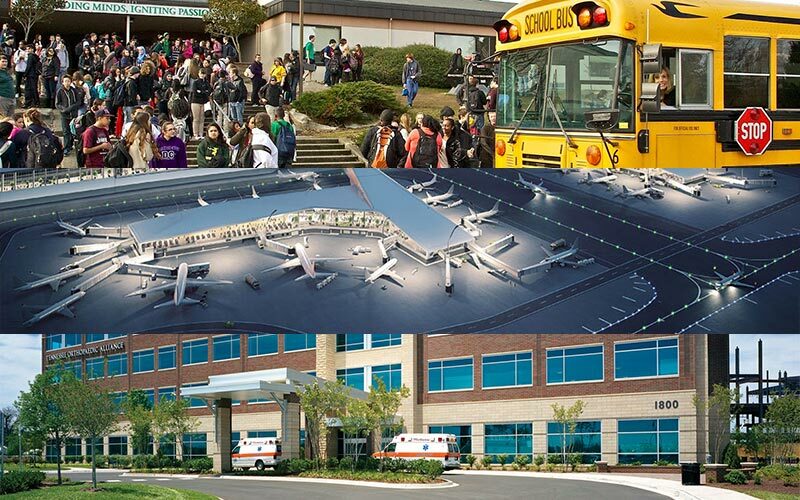 First responders and building administrators use the Macro CRG to coordinate crisis response external to a structure, including inner and outer security perimeters, ambulance staging areas, command posts, reunification areas, etc. Buildings that are contiguous to each other or are in very close proximity to each other will share a "Macro".